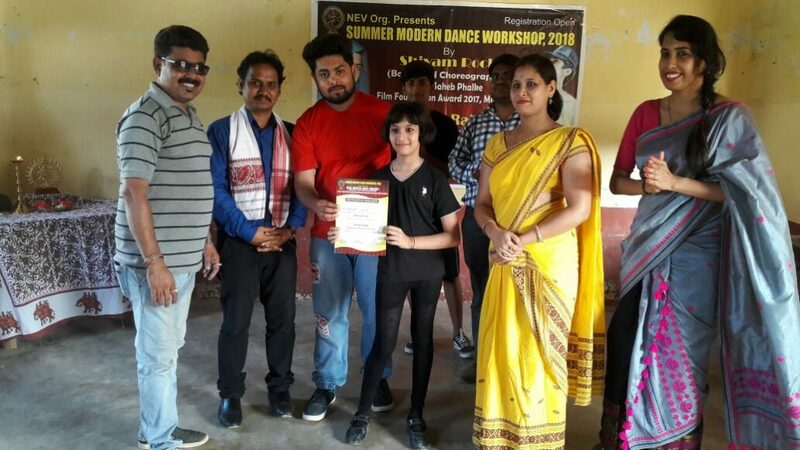 A seven-day summer modern dance workshop organized by Guwahati based North East Vision concluded in Hojai of Assam on Wednesday. The workshop that was held at the Abdul Hasib Higher Secondary School in Hojai began on July 5 last. SOS Children’s Village director Paresh Badyakar graced the closing ceremony as the chief guest. North East Vision’s director Natun Hazarika, Bollywood choreographer and 2017 Dada Saheb Palek Film Foundation Awardee Shivam Rock (Gupta), Satyam Rajput from Mumbai and Rahul from Guwahati graced the occasion as guests. 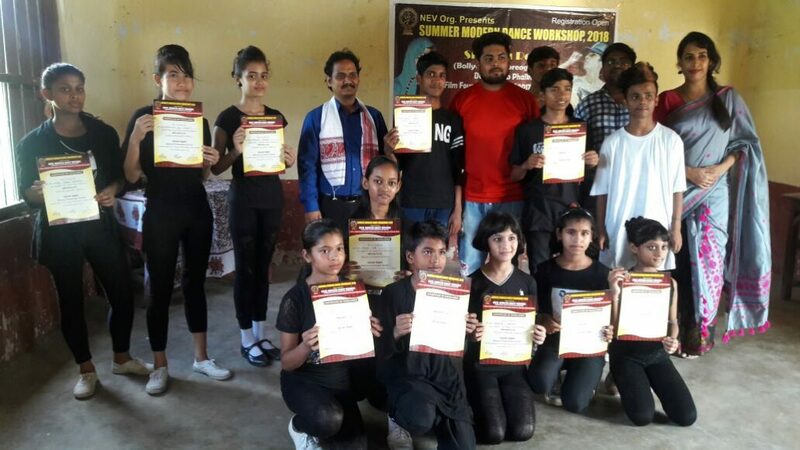 Nine candidates have been selected from Hojai for the All India Song, Dance and Drama Competition to be held on October 29 and 30 later this year representing Assam team. The selected candidates are Bhaswati Goswami, Pratashi Kashkap, Krishna Biswas, Annay Nath, Supriya Mandal, Rubina Khatun, Aishya Begum Chaudhury, Khiteshwari Rajbangonshi and Denku Sarkar. “These nine candidates will be provided free of cost training by North East Vision for this all India level competition,” announced Natun Hazarika, Director of North East Vision. All the children who had participated in this seven days workshop were presented with certificates. The teachers who contributed in organizing this event were Sagorika Mahanta and Ardhana Sharma. Notably, this is for the first time that trainers from Mumbai were present in this type of event at Hojai.